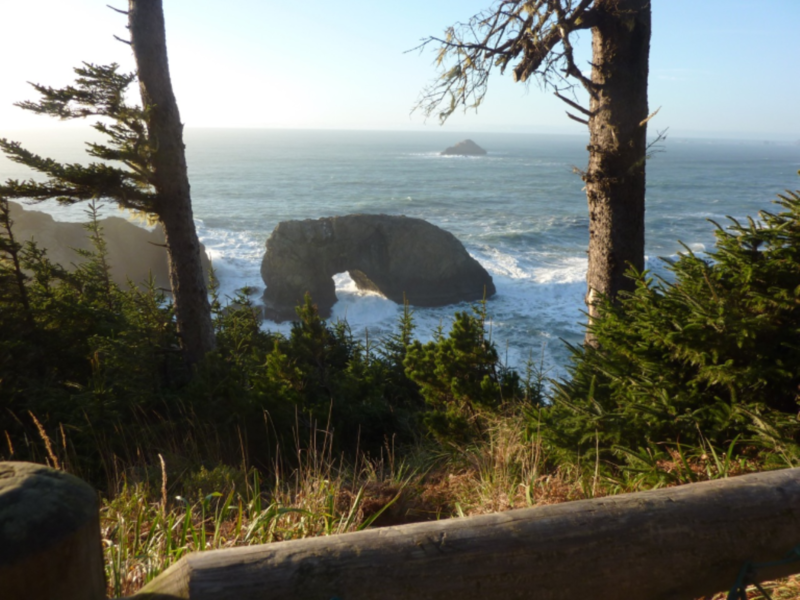 Arch Rock, Highway 101, between Brookings and Pistol River on the beautiful scenic southern Oregon coast. 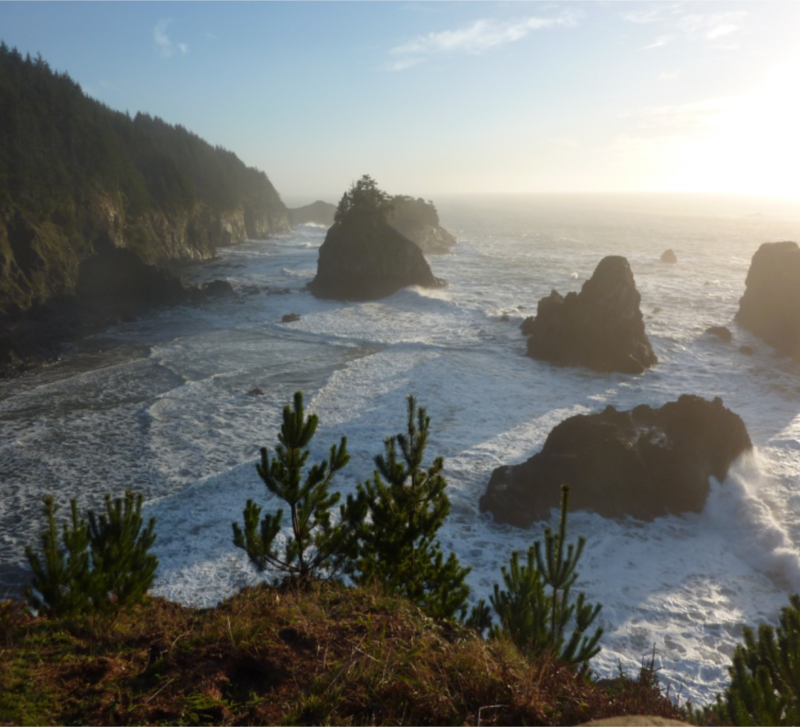 Serving the southern Oregon coastal corridor from Smith River, California to North Bend, Oregon, Monday to Friday. 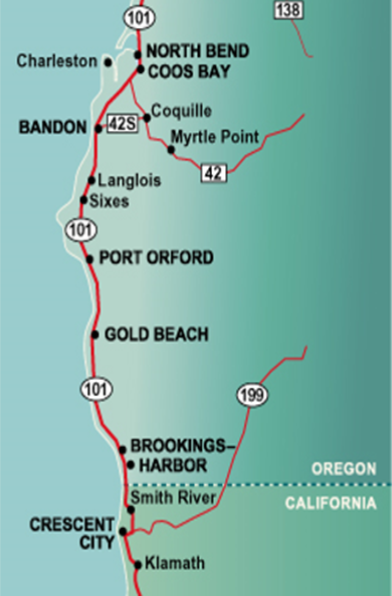 Coastal Express buses travel US Hwy 101 corridor with scheduled stops in Smith River, Harbor, Brookings, Gold Beach, Port Orford, Bandon, Coos Bay, and North Bend. 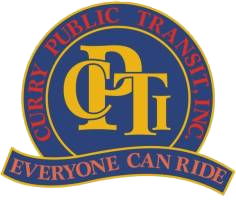 Connecting with Pacific Crest Transportation in Coos Bay, Redwood Coast Transit in Smith River, and Southwest Point in Brookings, travelers can travel up and down the coast and inland to Medford or Eugene to connect with Greyhound and Amtrack. Dial-A-Ride services the Brookings area from 8:30 am to 4:30 pm Monday through Friday; in the Gold Beach area, from 9:00 am to 2:00 pm Monday, Tuesday, Wednesday and Friday. There is no service available on weekends or major holidays (New Year’s Day, Memorial Day, Independence Day, Labor Day, Thanksgiving Day and the following day, and Christmas). Limited service for special community events. All of the buses are equipped with wheelchair lifts, and seat between 8 and 14 people. 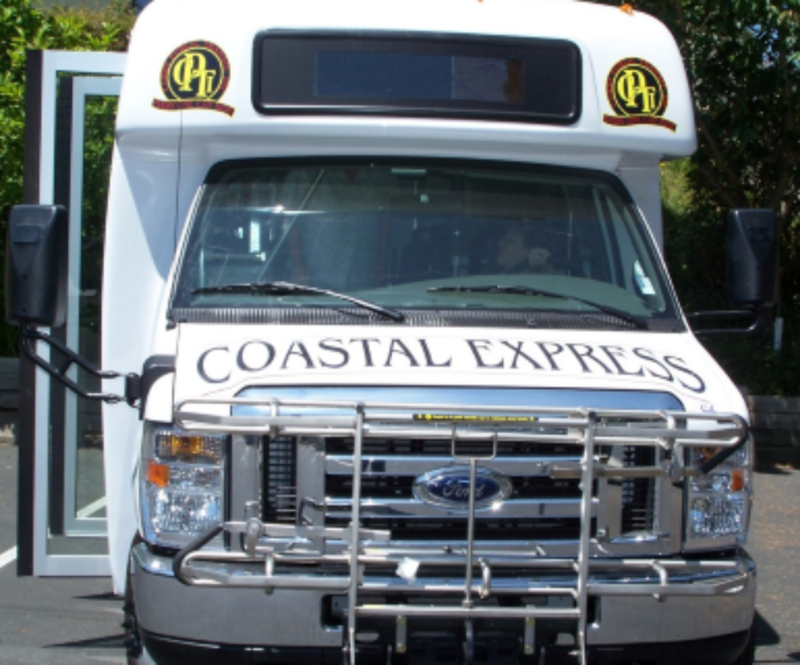 Coastal Express buses are equipped with bicycle racks.